The detection Worm:W32/Ippedo identifies the malicious shortcut (.LNK) files used by the Ippedo worm to lure users into unwittingly launching its malicious code. Once active on a machine, the worm can be directed by a remote attacker to perform various malicious actions, including performing ad-clicking, downloading additional files onto the machine, stealing information from it, restarting or shutting down the system and so on. 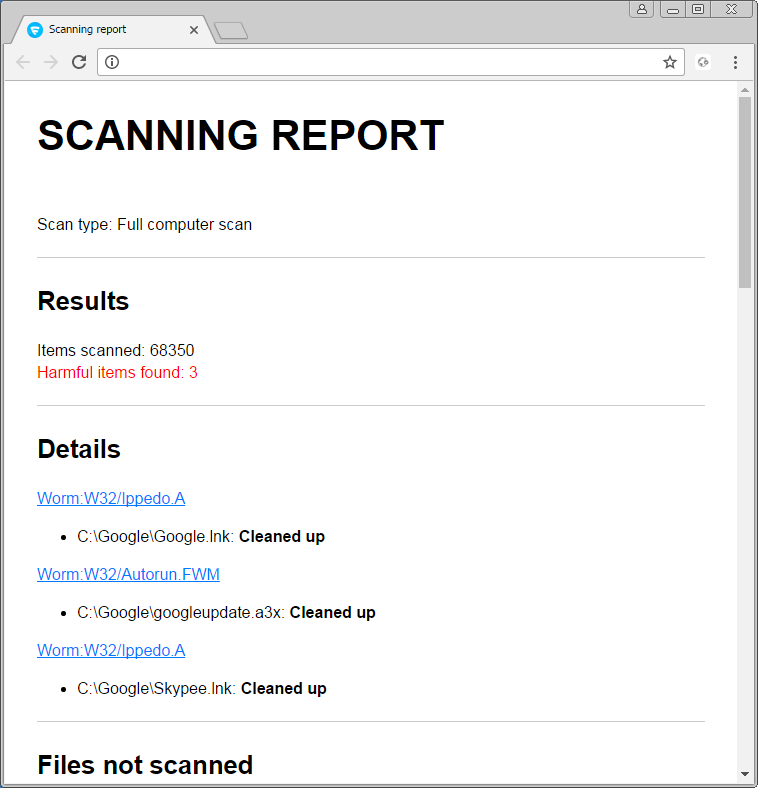 If the LNK files are still present after automatic removal, we recommend performing a manual scan on any attached removable drives, and then a full system scan on the affected desktop machine. 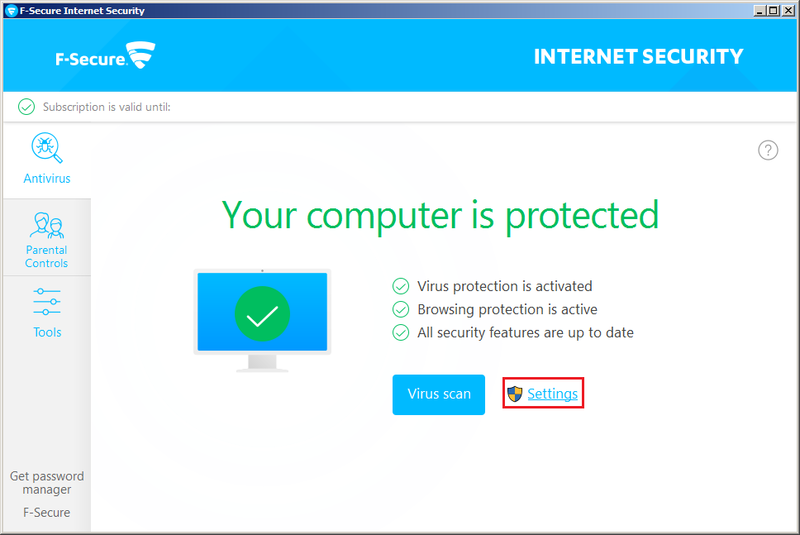 In the F-Secure security product, go to the Settings menu. 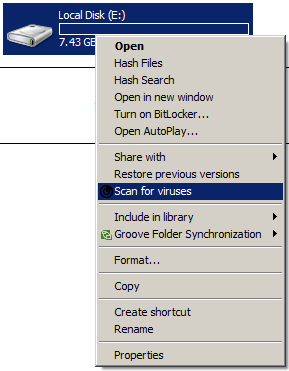 Under Manual scanning, untick the option Scan only known file types (faster) and then click OK.
Run a manual scan on the removable drive. After the scan is complete, select Handle all. 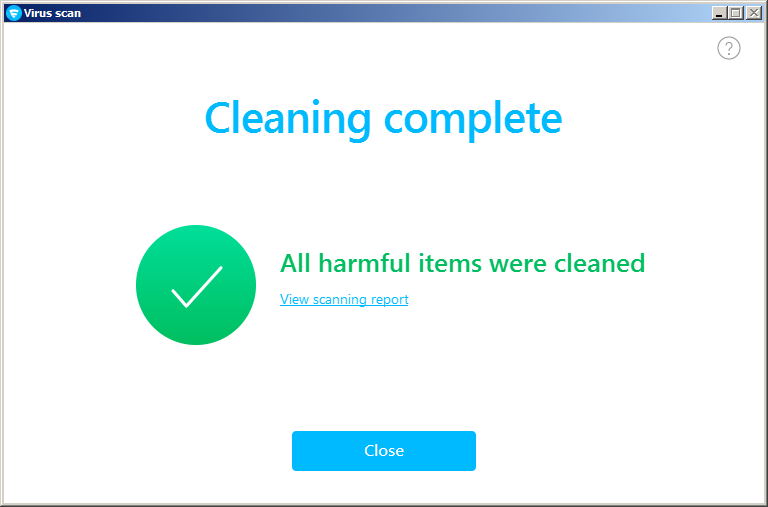 Once the harmful items are cleaned, you should see a scanning report. 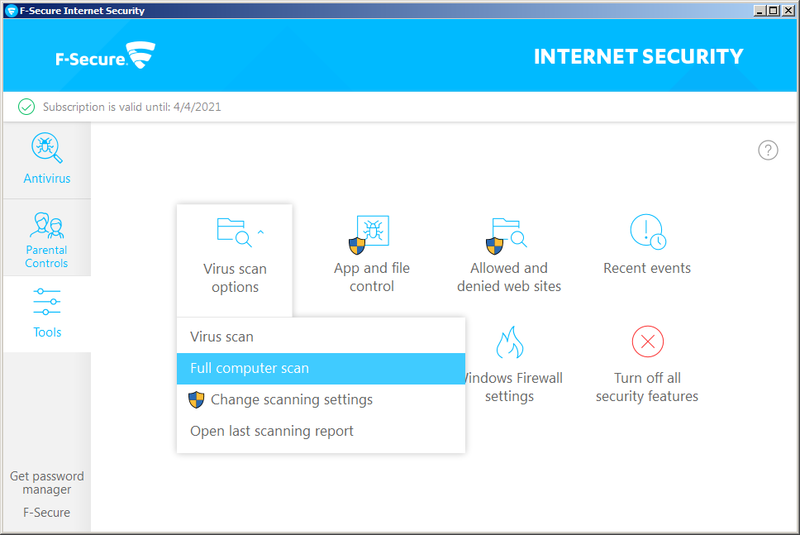 After cleaning the removable drive, perform a full system scan on the affected desktop. Again, after the scan is complete, select Handle all. 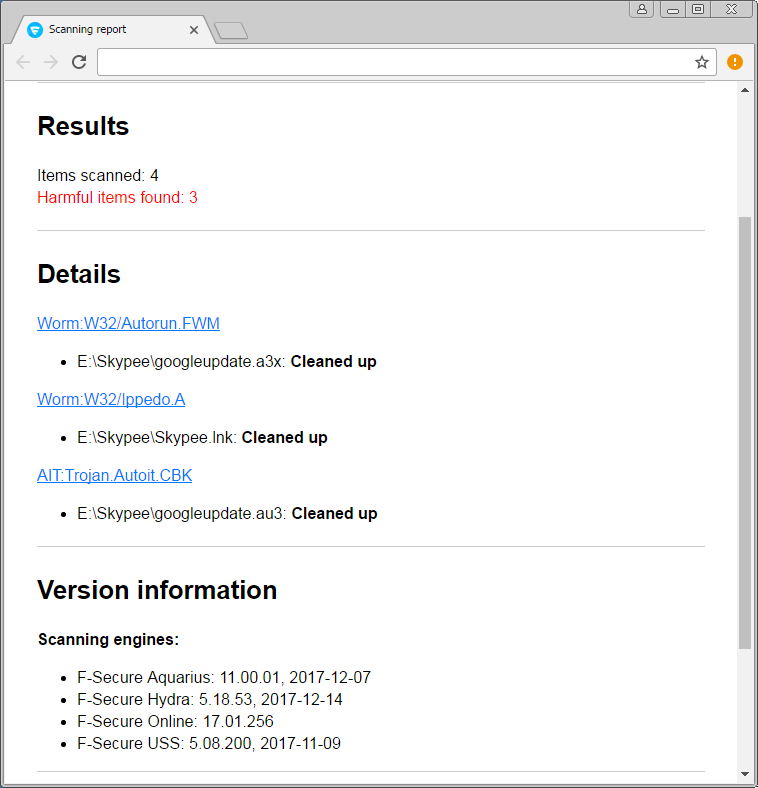 Worm:W32/Ippedo spreads through infected removable drives. 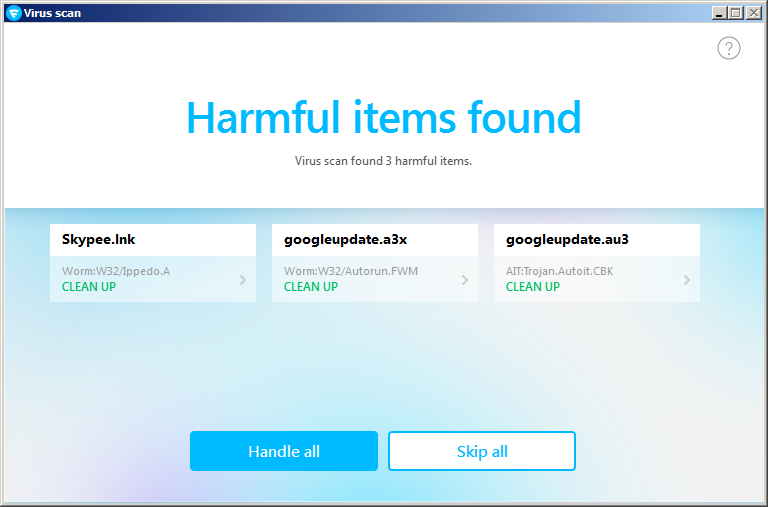 When a removable drive is inserted into a machine and the worm's malicious file is launched, it installs multiple files to the C:\Google and C:\Skypee folders. The added files include a copy of the worm's main executable file. Ippedo also deletes the legitimate googleupdate.vbs file. When it is launched, Ippedo's malicious executables first check to see if it is running in a virtual environment or if the machine includes files or processes that indicate it is used for malware analysis; if so, it will terminate itself. The worm adds .LNK shortcut files (the component identified by the Worm:W32/Ippedo detection) to the Startup folder and any connected removable drives, so that the worm copy is automatically executed each time the system starts or a user unsuspectingly clicks the shortcut. The links are deceptively named to appear legitimate, but all point to the worm's main file. "AntiUsbWorm"="C:\\Windows\\system32\\cmd.exe /c start C:\\Google\\AutoIt3.exe /AutoIt3ExecuteScript C:\\Google\\googleupdate.a3x & exit"